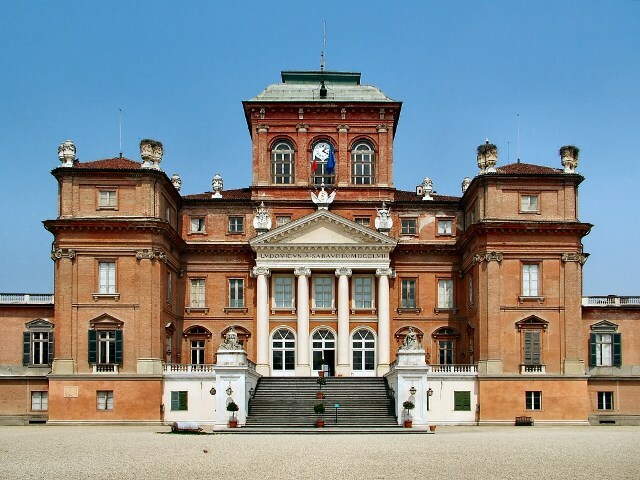 Notes: The Royal Castle of Racconigi is a palace and landscape park in Racconigi, province of Cuneo, Italy. It was the official residence of the Carignano line of the House of Savoy, and is one of the Residences of the Royal House of Savoy included by UNESCO in the World Heritage Sites list.The first records of the castle are from around the year 1000, when Bernardino of Susa rebuilt an ancient manor, leaving it to Cistercian monks. The castle was a possession of the margraves of Saluzzo and others starting in the 13th century, and in the 16th century was acquired by the House of Savoy. In 1630, Duke Charles Emmanuel I granted it to his nephew Thomas Francis, Prince of Carignano, founder of the Savoy-Carignano line. At this time, the castle was a high brick moated fortress with a square plan, four corner towers and a tall donjon (mastio) on one side.